In the last 10 years or so, we have embarked on a big experiment in this country - by allowing much easier access to marijuana. There are many reasons this has happened. We have come to believe that marijuana is not really that dangerous - a lot safer than alcohol, which of course is legal and quite available. We have also come to believe we could cut out the black market if pot became legal, and we could even generate significant tax dollars if it were legal. Finally, we believe that anyone who wants to get pot will already get it, so legalization won’t really encourage anyone to use it who wasn’t going to use it anyway - and that overall consumption levels will stay the same. This is a very controversial topic and there are very strong opinions on both sides, so I was a little nervous writing a newsletter article on this topic. Upfront, let me give a couple of my opinions. First, I don’t think pot is a particularly dangerous drug. I do think it is quite a lot safer than alcohol. But, we should not forget that alcohol has a lot of problems caused by its use. When you include traffic accidents, domestic violence, cirrhosis, brain damage, and alcoholism, the problems associated with legal alcohol use are huge. In fact, just in terms of financial costs alone, alcohol costs this country over $ 223 billion per year - so saying something is safer than alcohol doesn’t necessarily mean it is actually safe and that it doesn’t cause any problems. Secondly, I am certainly not in favor of heavy penalties for people using marijuana. It is not a crime against other people. As a general rule, it does not hurt other people and if people choose to do it, I don't think they should be treated as criminals. In my opinion, decriminalization is the best solution. Thirdly, I think there is quite a lot of potential for medical use for marijuana and I will be excited to see the results of future medical studies. I hope the government allows good research to be done because there are a number of medical conditions where there are not any available and effective treatments. Any new products which can be tested, found to be better than existing medicines, and then brought to market, can be helpful. I am a physician, so I am interested in people’s health and this includes their physical health, their emotional health, and even their spiritual health. We are now in this large experiment where millions of Americans have been given much easier access to marijuana and its derivatives, and we do not really know the outcome of this experiment. We are allowing access to much higher potency marijuana and access to marijuana in many forms including very powerful oils and other concentrated forms. In some states, THC is also available in a variety of forms, such as edibles and eye drops. Currently, there are very few regulations on how potent these products can be, and there are very few regulations to ensure that people actually get what that they think they are getting. Most states are also allowing advertising. We should not forget that the primary purpose of advertising is to increase sales and increase use for the products being advertised. I am not sure this sends a good message to our teenagers and youth in general. Unlimited advertising by the tobacco industry did not work out very well for society. 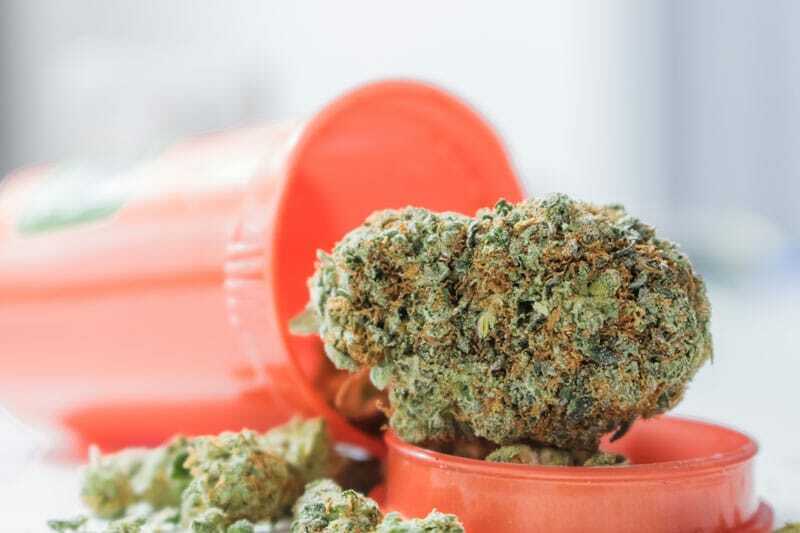 I am now starting to see a number of patients who are suffering from their marijuana use, and when I talk with my colleagues, they are seeing some of the same things. Some people seem to be very vulnerable to the effects of marijuana. We are certainly seeing patients who become addicted to marijuana. They started using it very regularly, often multiple times every day. They often have withdrawal effects people’s emotional state, their concentration abilities and their focusing abilities. This is not the pot that many of us smoked back in the 60’s and 70’s. There are also many reports of vomiting syndromes and other G.I. complaints that are caused by the use of marijuana. As we know, some people seem to be vulnerable to addictions. At some point after they start using any addictive drug, which releases dopamine in the nucleus accumbens, they have a reaction that is different than other people. They seem to like and value the effect. They increase their use and use it even when it causes problems in their lives. Pot seems to be no different than other drugs in this regard. For people who have that addictive tendency, it can become a real problem. I believe the more potent forms of marijuana currently being used cause a release of considerably more dopamine then marijuana products from the past. This more potent marijuana is making addiction more of an issue - in the same way that liquor seems to make many more people lose control of their drinking, even more than beer and wine does. So, I think we need to pay close attention to what is happening in this big experiment. Like most things in life, many people will do just fine and there will be no problems at all. They will use small amounts every now and then and not get into any trouble. But, some people will end up using quite a lot and they will potentially suffer some very negative consequences. Unfortunately, the nature of addictive diseases is that the people who have the problem are often the last ones to identify that it really is a problem. It is a "catch 22" - the drug they are using distorts their judgment and keeps them in denial. As physicians, and as a society, we need to do the best we can to minimize these problems in our society. We need to identify who is at risk and then help to educate them to avoid future problems. We must continue to study what problems pot can cause, their implications, and intervene as soon as possible. Here's a link to my recent Facebook live video on this subject.